Saguaro is a site-specific performance and installation project situated along the perimeter of the Saguaro cacti region in the Sonoran Desert. 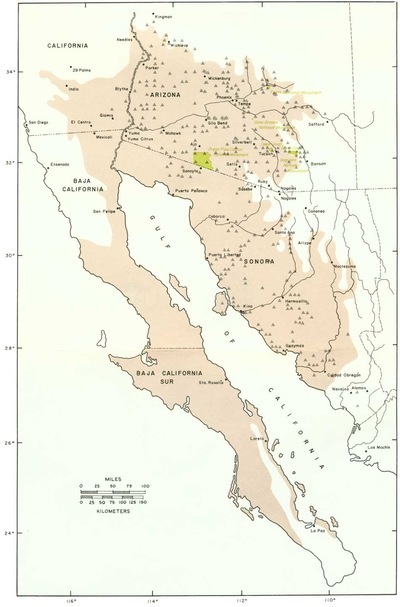 The perimeter of this natural biome, interrupted by the U.S. Mexico border, also represents a border onto itself. Saguaro, is an inquiry of the relationship between these borders as they apprehend one another. Borderlands politics and the region’s desolate landscape provide a base for the military, drug cartels, border patrol, and civilization. These realities are in constant communication through radio waves (a sonoric sub-reality that permeate physical borders). Ecologically, the land is abused by overdevelopment, draught and invasive species brought by an increasing population to this region. The de-regulation of ecological balance and the misuse of the land is part of a dysfunctional utilitarian narrative imposed upon the territory. 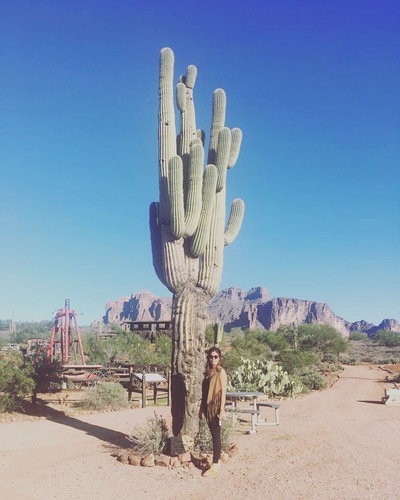 In attempt to generate a new consciousness of body and territory, I will utilize the saguaro as an ancient metaphoric antenna -- receiving overlapping realities of the region since the early formation of its bioregion and into the present. Throughout the performance of Saguaro, I will travel along the biome’s perimeter selecting saguaros instinctively while recording their sound waves/vibrational fields, utilizing contact-microphones (captures the land vibration- earth) and an antenna (captures radio waves- air). As the project moves forward I will build a database of sound and photography of this perimeter, along with recording each region’s density of cacti and gps location. These more technical data, serve only to inform social-political, ecological and spiritual concerns. As such, the purpose of Saguaro is to form a shared awareness’s between myself and the people I meet along the way. I hope to create a space for conversation and connectivity in challenging the idea of ‘borders’ and the many overlapping uses of these territories.